Another Nokia Store app related news. 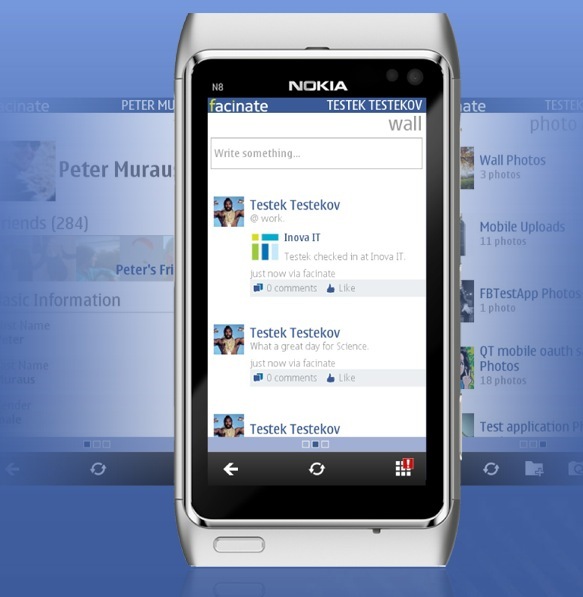 This time we hear of a new facebook app for Symbian, currently the main recommended app right now is fMobi but it’s always good to see new facebook apps (or new of any type) as it forces all apps of that kind to improve. Anyway, this app for Symbian is called fascinate. As Ali pointed out last week, when you select a device in the web store, you will be asked what your version of Symbian is, even if you say N8 it will still ask if you have Belle in it (though officially none of us should :p). – Works on a Nokia 5800 or Nokia 700. Nobody is left out! – Has a really unique, swipable user interface. Totally cool, sweet, fast and useful. – CHAT. srsly? y, 24 / 7. omg, so kewl. c u. – Home screen – and a really good looking one! – Notifications on your home screen! Never miss out on your friend ’s birthday again. When I unpack the rest of my stuff I’ll put this on my to check out list 🙂 There’s plenty more positive reviews where that came from. Have any of you guys tried it out? What to do think of it? Thanks Mapantz and S.A. for the tip! « Angry Birds Full Version Now Available for N9!